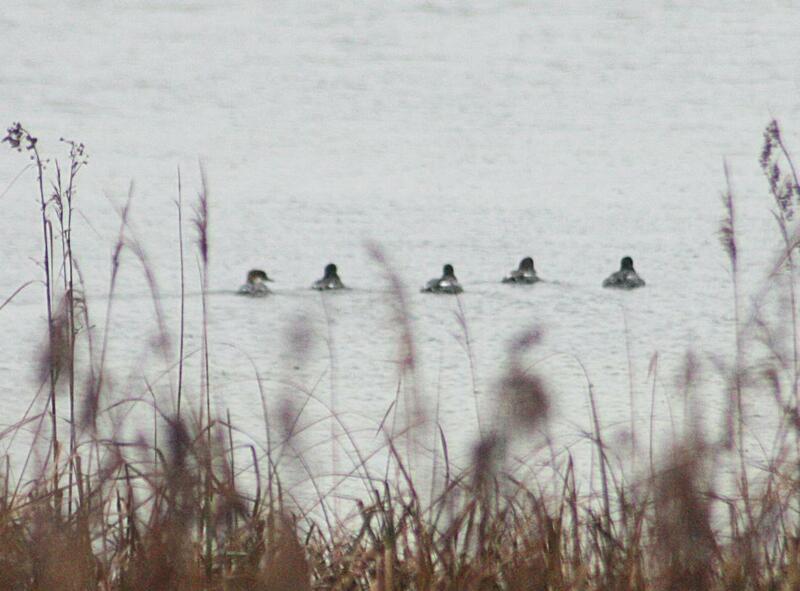 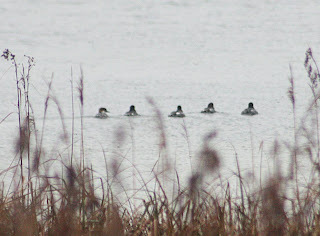 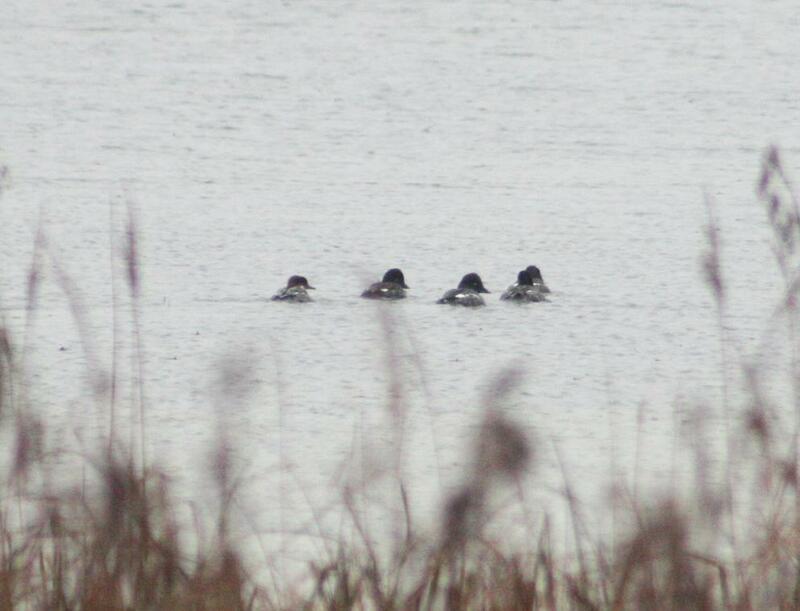 A female Smew with four female Goldeneye at the northend of Lough Bunny. .
You drive 20 mins to find a bird in the middle of nowwhere at 8:30 in the morning, you find the bird close to the road just of the reeds.